LOVED IT!!!!!! I feel soooo much better now. Last month at this time, I was tired, achy, bloaty, and had terrible skin and my hormones were all over the place. I have faithfully drank my green smoothy every morning for the last month and the change that I can see if my self is incredible! 10.5 pounds gone! Mood swings, gone! Coffee, gone!! My skin looks awesome! I am so thankful that I came across your site when I did! Thanks Sara! 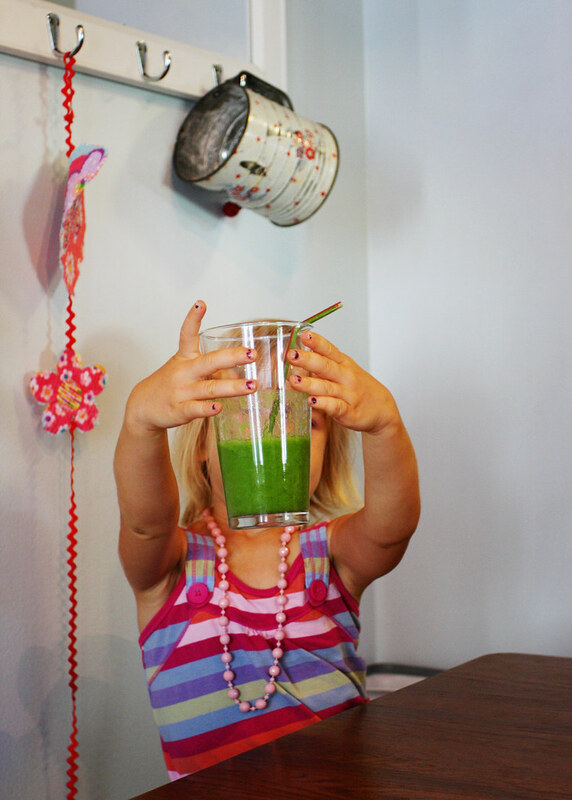 Green Smoothie Challenge Testimonials & A GIVEAWAY! Congratulations to all of you who completed the 30 day challenge! I would LOVE to hear how drinking green smoothies has changed your eating habits and your thoughts about food, etc. Please share your testimonial about the green goodness!! As a little thank you for sharing your testimony, your name will be entered into a giveaway for a copy of “Green Smoothie Revolution” by Victoria Boutenko. I will announce a winner on Sept. 28! One week down…three to go! 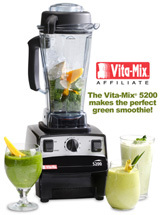 Congratulations to all of you who are participating in the Green Smoothie Challenge of 2009! I’ve been hearing great things from the trenches…weight loss, increased energy and clarity, and kids joining in! Great things are happening…because of green smoothies 🙂 Keep it up! After the first week, you have probably started to figure out where your weaknesses are. Focus on those this week and overcome them. For some of you, it’s the no sugar thing. Continue to cut them out of your diet, and have a “plan” for those times that you do crave them. Don’t just stand there helplessly…FIGHT those cravings! First of all, if you still have candy and soft drinks in the house…GET RID OF IT! Give it away to your friends who don’t want to be healthy! If it’s there, you will eat it. Don’t kid yourself. I find that a cup of hot tea works wonders, or even just drinking a big glass of water. You can also fill that craving with a sweet fruit like watermelon or berries. The less sugar you consume, the less you will crave it. For some of you, it’s the exercise thing. You just cannot find time to fit it in no matter what you do. But I guarantee you that you will find time for things that you are passionate about…whether it be keeping up with friends and family on Facebook, sewing/knitting, reading, watching TV, etc. Look at your day and figure out where your time is spent…and then carve out 15 minutes of that time to BE ACTIVE. Go outside and walk around the block 4 times. Do some stretching before you go to bed at night. Start small, document your journey, and keep moving forward. Even if this first week was really hard and you only did one smoothie all week, go into this second week with renewed determination. Be gentle on yourself, but stick to the challenge. It’s worth it! who is due with her 8th baby TODAY! Can’t wait to hear the big news Heth! You can read her hilarious blog here. I’ve had lots of questions about the difference between juicing and blending. And even though I’ve posted about this before, I’m going to post it again. Blending keeps all of the fiber in, whereas juicing takes it out. That’s the only difference…and there are benefits to both. I look at juicing as a “supplement”….or almost a “treat”. I don’t juice everyday…probably 2-3 times a week…all with GREEN juices. I do BLEND every day though with my green smoothie. Juicing offers the added benefit of “instant” assimilation in to the body…which is why you might get a “juice high” after you drink it! Both green juices and smoothies are highly alkaline…and disease cannot survive in an alkaline environment. They do LOVE an acid environment though…and 3 acid forming foods are meat, dairy, coffee. Both green juices and smoothies have chlorophyll, which increases the flow of oxygen in our blood/body, which in turn, creates an aerobic environment where disease cannot thrive. Both green juices and smoothies enable you to eat A LOT more greens at one time than you normally would. This list could go on and on…but you get the idea. Juicing has a purpose and blending has a purpose…although they are very similar. The main reason why someone who is sick (with cancer or other disease) should juice is because it takes the LEAST AMOUNT OF ENERGY from the body to digest. Even green smoothies take more energy because the fiber needs to be digested. When you can take away the energy need for digestion, it leaves your body more energy to HEAL. This goes for raw food in general, but it’s particularly applicable when fighting disease. You want to free up as much energy as possible to heal the body. Ladies and Gentlemen…Start Your Blenders!! Today is the big day! Do you have your fruit? Your greens? Your motivation? I’ve been getting emails all week from people who started a little early for practice and they are losing weight and feeling amazing! I know this is going to be a great month! If you miss a day…don’t sweat it! Just drink a little more the next day and move on. Or, if you miss your smoothie in the morning, have it for lunch or dinner. A green smoothie is a meal in itself…if you don’t feel full enough, just drink more! Be gentle on yourself…this challenge is about “jump starting” your habits and it will hopefully add up to a life long change. Don’t worry so much about getting it all right, as you do about changing your mindset about food/exercise. Read blogs and inspiring books during the 30 days…I guarantee it will help you stay on track! When you’re reading about others drinking their green smoothies and exercising and cutting out sugar…it’s makes it harder to drive through McDonald’s 🙂 If you are documenting your journey through the 30 days on your blog, be sure to post a link to it in the comments! If you don’t feel like you’re ready to commit to the entire set of “rules” for the challenge…don’t leave quite yet! Even if you just add the smoothie to your day and do nothing else, you will still see changes! At last count, we were up to 174 people participating in the challenge on Facebook…let’s go for 200! Tell your friends, your co-workers, your family…get them on board with you. Everyone will benefit from a green smoothie a day…you never know how you might change their life!! If you’re feeling like you want to kick it up one more notch, try going about 80% raw for one week of the challenge. What does that look like? Do your smoothie for breakfast, a big salad for lunch, snack on fruits, veggies, nuts, and seeds throughout the day, and then have a healthy vegan dinner. If you want to see what my day looks like, check out my food journal, Raw Delight. You can also try “raw til noon”…this is especially good for those who need to prepare meals at night for others, but want to eat healthy throughout the day. Just do your smoothie for breakfast, the salad for lunch and then do your normal thing at night. Are you on the go a lot? Here is a great way to take your smoothie with you! I use a quart mason jar with a lid to take it in the car with me…and that way, I can put the lid back on when I’m done and there is no mess. I try to stay away from plastic as much as possible, so I choose to use glass. However, you could put your smoothie in a reused plastic water bottle or other container. I would recommend that you don’t put them in a stainless steel container such as the Klean Kanteen or Sigg unless you can rinse it immediately. They tend to be much harder to clean smoothie gunk out of. This is also a great way to keep oxygen out after you make them the night before…fill it as close to the top as you can and cap it. Line them up in he fridge and you’re good to go. If you don’t want to answer the question of “Oh my gosh. What is in THAT?! !” over and over…put it in a container that isn’t clear. 🙂 Although, clear containers are a more effective way of sharing the green smoothie love. Just tell them to go to our Facebook group and join up! You can find quart jars with lids in bulk at Wal-Mart or at your local kitchen/hardware store. If you need to keep it colder for a longer period of time, get yourself a funky insulated lunch bag (like this one or this one or this one)and a couple of re-freezable gel packs. That way, you can have one later in the day for a snack too! Now there are no excuses for not drinking your smoothie!